The dance team placed fourth in the Large Kick division and tenth in the Large Pom division. Senior Emily Koca holds the fourth place Nationals trophy after the awards ceremony Feb. 2. Traveling over 1,200 miles to represent their school every year, the dance team competes against schools from all across the nation at the United Dance Associations Nationals in Orlando, Florida at Disney World’s ESPN Wide World of Sports Center, Feb. 1 through Feb. 4. The team placed fourth in the nation in the large kick category and tenth in the large pom category. The team holds up the nationals trophy after the awards ceremony. At the UDA National competition, it differs on how many teams are chosen to compete in the finals, there were 12 teams chosen for the large kick division and 13 chosen from the large pom division. UDA has nearly 5,000 athletes competing in their national competitions, all vying for a spot in the finals. 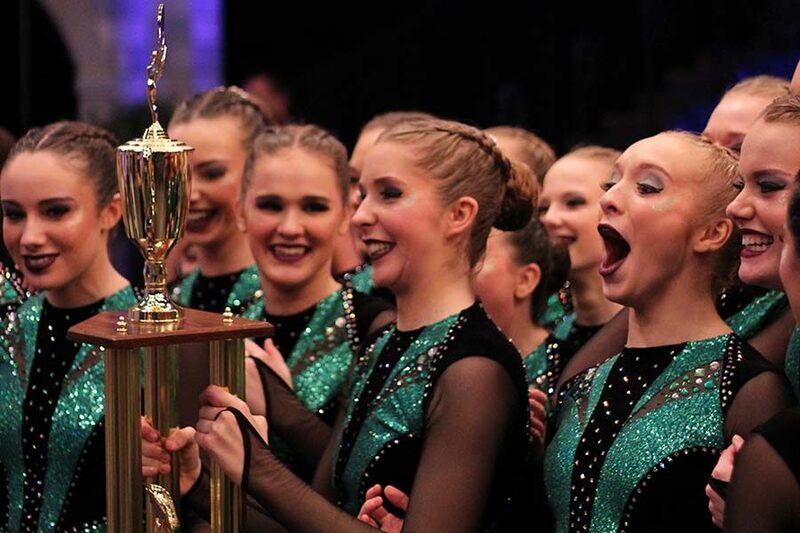 Each team has to earn a bid for nationals, by winning a UDA sponsored camp or other competition, so every team there has beaten out their local competitors. The team qualified for both large Pom and large Kick finals this year, for the first time since 2014. Which means that none of the current members of the team have competed in the finals for both Pom and Kick. This is also an improvement from last year’s results, where the team placed 5th in Kick and did not qualify for Pom finals. 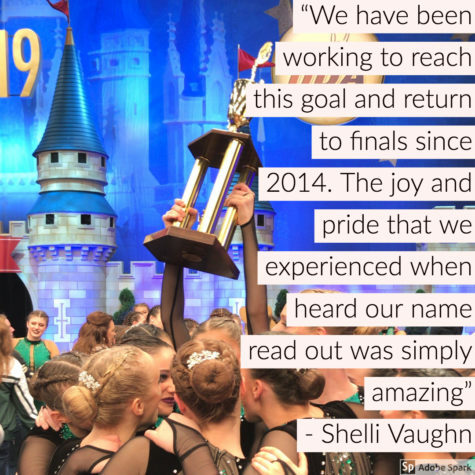 In addition to qualifying for both of their routines, the team also had a second stroke of luck when picking their placement for the order for when they would perform their routine for the final time. After each team has performed in semis and the finalists have been announced the coaches draw cards to see what order the teams will perform for finals. Nick Clement of NCK Choreography, a kick specialist the team has been using for years, who was there to watch the team perform their Kick routine, drew for the team after each performance. He pulled last for each routine, which is one in a one hundred and fifty-sixth chance. The team celebrates after discovering that they would be performing last in pom finals. Every team wants to dance last, according to Rogge. The judges always judge the hardest, on the teams that go first. They judge knowing that even if the routine they just saw was good there is another coming that could blow it out of the water, and they could regret the high score they just gave because this school deserves a higher score. So the judges score the last team the easiest, knowing that they have seen all of the routines. 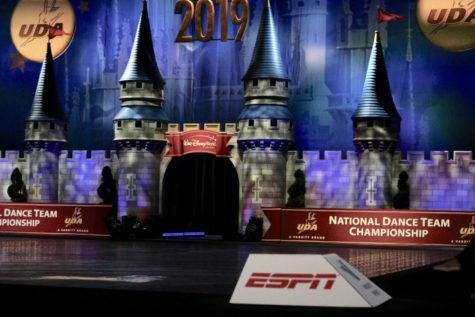 The floor that the teams perform on is modeled after Disney’s Magic Kingdom Castle and is officially sponsored by Disney World and the competition is aired on ESPN on a later date. Nationals itself is unlike any other competition that the team competes in during their competition season, according to Rogge. Besides the travel, pressure, and stakes, the competition itself it immense according to Ulowetz. With teams from all across the nation, the dance team competes against schools with well over 2,000 students and many performing arts schools. 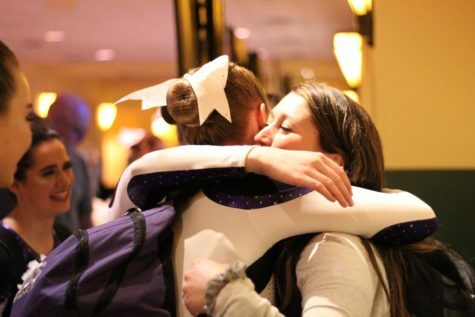 Dancers run up and hug Sarah Mikels Harrington after they finished their pom routine in finals at Nationals Feb. 3. 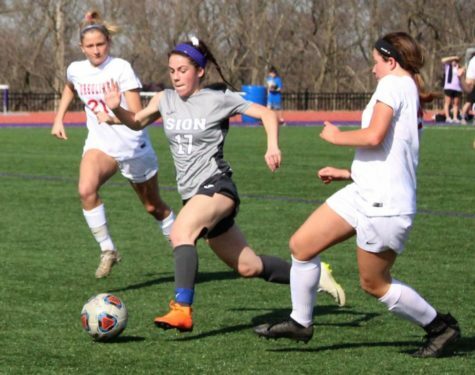 To prepare, the team extended practices and increased the workouts before leaving for Nationals according to freshmen Sarah Totta. While they were competing the team had night practices in the parking lot of the hotel they were staying at and had specialists that they work with earlier in the season come and watch practices, like Clement. The team’s go-to pom specialist Sarah Mikels Harrington also came to watch the competition and work with the girls before their final time on the Nationals stage. The next big thing for the team is the State Championship Feb. 23 and 24. The team has won State consecutively for the past 9 years. 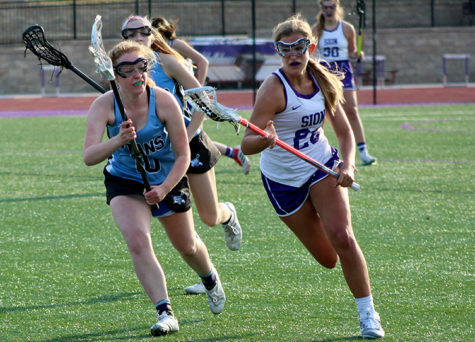 If they win this year they will have broken a Missouri State High School Athletic Association Record for the most consecutive state title wins. 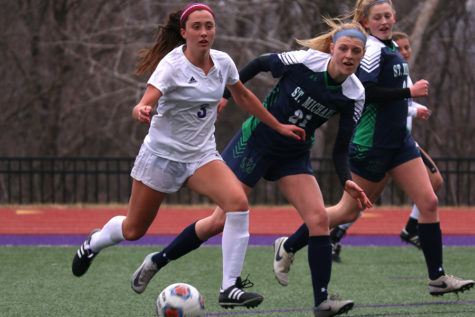 “We need to keep our energy up, and not stop now because we still have State, so we have to keep working hard and pushing because we want to feel as good as we do about Nationals,” Rogge said. What a great article! I was there at this competition and this sums it all up perfectly! This team is amazing. It was an awesome weekend! 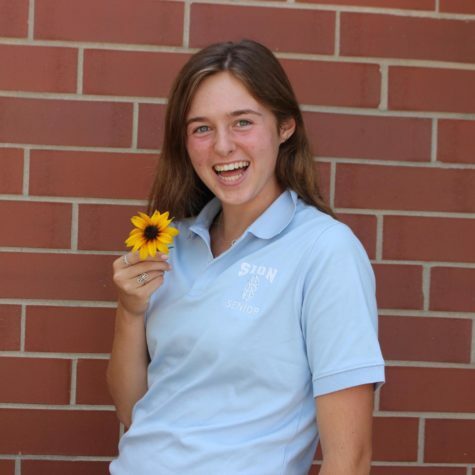 Go Sion! !